1. Bill Self - this is the Kansas 4 out-1 in Motion offense that includes their Hi/Low offense as well as their press break. 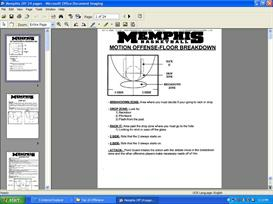 Over 30 pages of his offense, press break, and zone motion. 2. 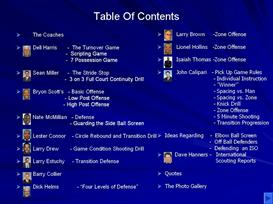 4 Out-1 In Motion Overview - a huge breakdown of this motion offense that is 48 pages long. If you want an analysis of all of the options available in the offense, this is the note collection for you. 3. 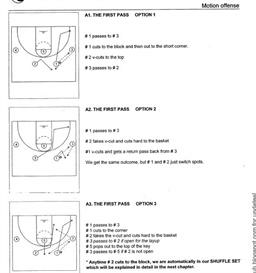 Jay Wright Motion - this is the 4 out motion offense used at Villanova and includes 12 pages of notes. 4. Jay Wright Breakdown - these are the breakdown drills for Jay Wright's motion offense. 5. 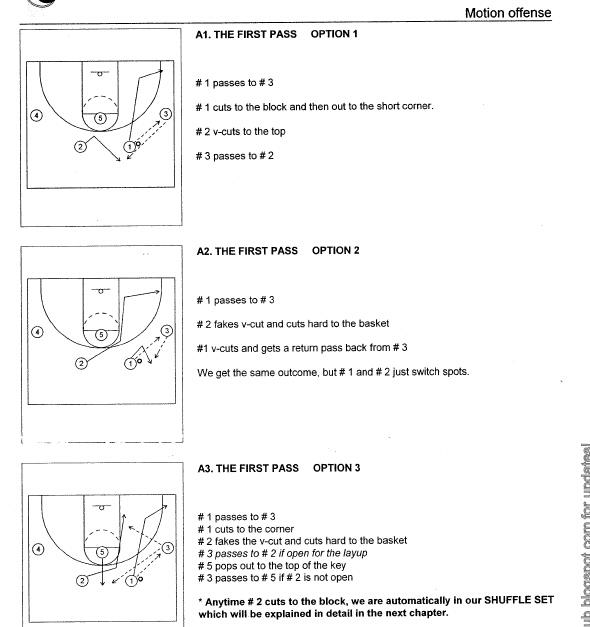 Indiana Playbook - this is 51 pages of Mike Davis' 4 out motion offense that is similar to a high/low motion offense. 6. 2/3 Man Drills - this is a booklet of motion offense breakdown drills to help you implement any kind of motion offense including the motion offense.